I'm starting a new section of the blog called Noms. I always have food pics that don't end up in long posts. Here's my first Noms. I'm no stranger to Cronuts and I'm guessing you aren't either. I first had my bite a few months ago and documented it all here in Battle of Cronuts vs Doughssants. 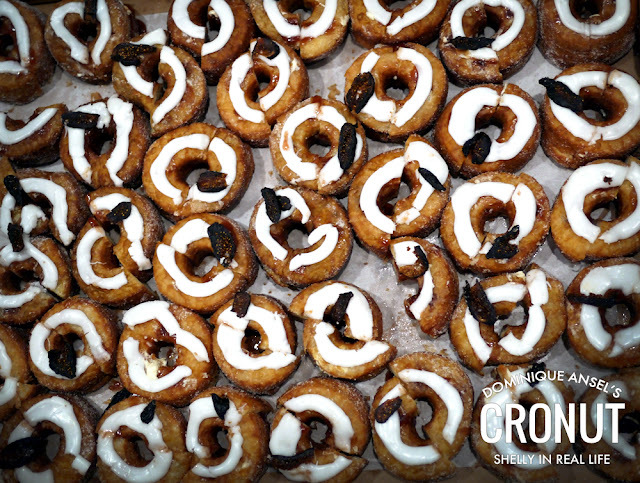 I mentioned that you could actually order a mass order of cronuts. While it's not the easiest thing to do to get that order in, it can be done. For a great start to my hump day, the big boss ordered us these nice treats for our meeting at work. So, in case you ever wondered what a mass order of 50+ Cronuts look like, consider this mystery solved. September's flavor is Fig Mascarpone which didn't amaze me. 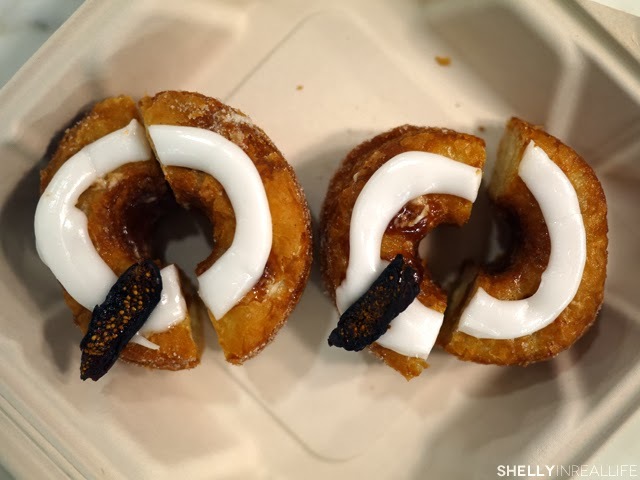 The second time around, I still found the cronut particularly greasy, chewier than a regular croissant and generally not worth camping out for. However, if you put it in front of me, I will eat it!